Lyft is the latest company to ditch support for the Apple Watch, eliminating its Apple Watch app in an update that was released this morning. Lyft did not announce the removal of the Apple Watch app in the update's notes, but the Lyft Apple Watch app is no longer listed in the App Store nor is it available as an app to install through the Watch app on the iPhone. There's also no longer a mention of the Apple Watch in the App Store description. It is not clear why the Lyft app was removed from the App Store, and we've asked Lyft for comment, but this continues a trend where major companies are removing their Apple Watch apps due to low usage or Apple's requirement that all apps adopt the watchOS 4 SDK. As of April, all Apple Watch app updates submitted to the App Store must use the watchOS 2 SDK or later. Apple Watch apps that use the watchOS 1 SDK are no longer able to be updated. Lyft has been updated several times since April, though, so it's not clear if the requirement is the reason why the app was removed. 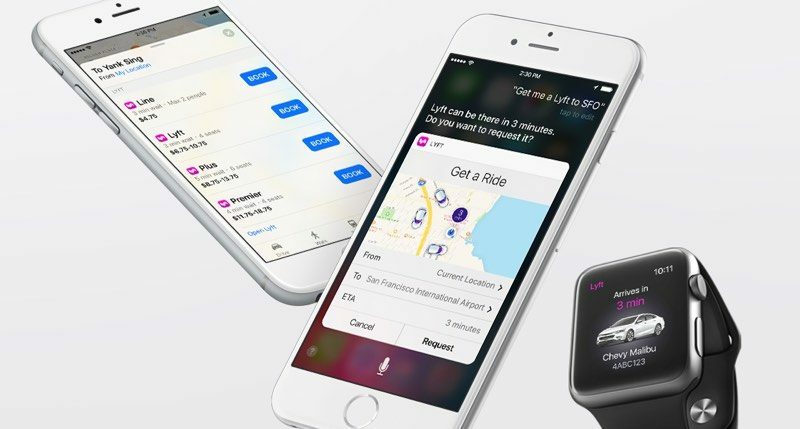 Lyft first introduced support for the Apple Watch in September of 2016. Lyft joins several other major companies that have abandoned development for the Apple Watch and eliminated their watchOS apps, including Twitter, Google Maps, Amazon, Instagram, and eBay. Update: Lyft provided the following statement to MacRumors on the removal of the Apple Watch app: "The latest Lyft update on iOS will no longer support a standalone Lyft app for Apple Watch. Lyft users will continue to have a great experience receiving notifications on their Apple Watch to easily follow their ride." Apple really needs to make WatchOS development more attractive. Opening up watch-faces to developers, and making complications more robust, would go a long way I think. Just two weeks ago I used my Apple Watch w/ LTE to order an Uber after my phone died... it worked great. That’s too bad. I don’t have an Apple Watch but it seems like a ride hailing app would be one of the more useful watch apps. I’d think it would be convenient to be able to monitor your ride’s distance from you with a glance at your wrist. While the trend to remove watch apps is potentially disturbing, there is - in my opinion - a greater reality to the situation. A small screen on your wrist can be useful for many things, but the Watch just hasn't decided what to do when it grows up. Exercise apps? Yes! Music? Sure. Tracking time? Of course! But... shopping? Ordering a pizza? Tracking a package? Reading social posts? No... No... No... and No! This is just a market correction. That said, Lyft and Uber (and other ride-hailing services) do seem like a much better fit. Not sure if it's a great fit, but definitely in the grey area. Just curious. I never tried the eBay watch app. What, specifically, did it offer beyond notifications? Alternatively, what can you not do now that you could before? I think the watch now having LTE is making an important use case for these apps. When watch apps were dependent on a phone's presence, I could see the argument that they were essentially pointless. Now that the watch works as a standalone device, these kind of apps are actually very important. I'm hoping WatchOS 5 brings many new APIs and enhancements that entice devs to continue developing for the Watch. I used an AW for two years daily, and about a year ago switched to a Gear S3. While the AW had many more apps available, what I found in the end was that most of that apps didn't really change my life since I had my phone with me anyway and the phone was a better experience. Like in the case of this one... if you are hailing a Lyft or Uber, you want to see the map, and monitor the arrival Often you also need to possibly determine where the best place is to be picked up if you are at an airport. None of this is going to be easy on a watch. So even though the AW works with Uber, I never once tried to call an Uber from my watch. In fact, most of what I used my AW for, that was really having an impact on my daily life, was the apps that came on it. And when I moved to the Gear S3, I found those apps gave me a better experience than AW. So though I miss the bigger inventory of apps for the cool factor, I don't miss them for any impact on my daily life. I don't really see the value in an AW app for Lyft or Uber personally. Actually, car sharing is probably one of the better uses for a wrist app. "Hey Siri, get me an Uber" ... then a notification pops up on your wrist as the car approaches, giving you the license plate and car model. That's the kind of information that works well on the wrist, rather than having to pull out your phone and look for the identifying info to find the car. Just look at your wrist and the info is right there. Apple really needs to fix watchOS. It would be nice if Uber can fix its blank complication! [doublepost=1527626443][/doublepost]Apple can also remove this ('https://forums.macrumors.com/attachments/apple-developer-watchos-lyft-png.763552/?temp_hash=61df48d24a783485daf0a260856a4aeb') from the Dev site! Never really worked well anyways. All you need is the normal push notifications.